I love mystery novels. 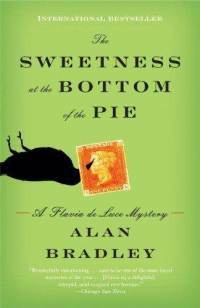 And I love mysteries that are serials and have characters that keep showing up in the books. It was very difficult to answer this question because I have three characters that want to know more about and read more of their adventures in books. But mostly I’d love to meet those characters and learn more about them. 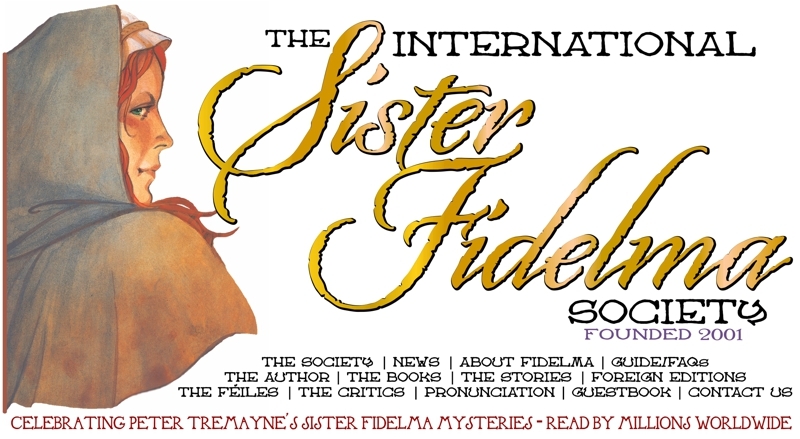 The first is Sister Fidelma of the Sister Fidelma mysteries by Peter Treymane, of course. Sister Fidelma is a young Irish woman in her late 20s who happens to be a nun and also happens to be married to her companion in crime. Brother Eadulf, a Saxon brother. Did I mention that these novels are set in 7th century Ireland and England (and Rome) when married clergy were not banned by the Catholic Church and very common in Ireland, although Rome was pressuring the clergy into celibacy. There were many differences between the Irish and Roman churches, and Sister Fidelma’s stories make these differences known. I have gotten to the point in the series where Fidelma and Eadulf are married (a trial marriage) and have a young son. They have been in a trial marriage for a year and a day, and are now making the marriage permanent (the book I’m presently reading). Fidelma is an anruth, or a magistrate/lawyer/advocate in the Irish legal system, which was quite unique. She is forever quoting Roman and Greek poets, and also her mentor from law school. I’d love to know how she remembers all these quotations. Eadulf quotes too but not nearly so often as Fidelma. I would love to know how Fidelma’s mind works and figures out the mystery. She gives away very little in the stories and even does not share how her mind is working with Eadulf. But she see everything and stores it away in her mind until the pieces fit. Another character I would love to get to know is Claire Ferguson, an Episcopalian minister in a small town in upstate New York (near where I used to live) who somehow gets involved in mysteries involving murders. 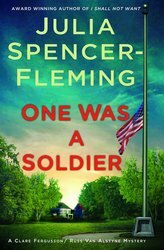 The author is Julia Spencer-Fleming. Her “side-kick” is the local sheriff, who was married but whose wife conveniently dies in one of the books. Claire and the sheriff never have a physical relationship until after the death of the wife, but Claire is interested in so many things. Did I mention that she is a helicopter pilot in the National Guard? Well, in the next book, she is called into duty. This should be interesting. The third character is very different from the other two. She is eleven year old precocious Flavia de Luce who lives in a manor house outside a small village in England in post World War II Britain, created by Alan Bradley. She is fascinated by chemistry and stumbles across crimes in her small village. She manages to stumble upon clues and solve the mysteries as only a child can. She lives with two elder sisters who torment her as much as she torments them and her depressed Father who has never recovered from the death of his adventuresome wife when Flavia was an infant. I would like to meet this child/woman and have a conversation with her. It would not be like a conversation with a child at all. She is fascinating, though a bit annoying to live with, I suppose. These are the three characters that I would love to learn more about and have conversations with, but I guess I will just have to wait and read the rest of the books in the series. You can read this on my old blog, My Life, Such, As It is. I will begin posting on my new post only next week. Please ask me for the address.